Intel's new integrated graphics are better than ever, and AMD's are nothing to shake a stick at either, but if you really want to game on a laptop, nothing's gonna beat discrete. And Nvidia's new GeForce GTX 700M series just rolled into town with the best graphics you can put in your laptop. 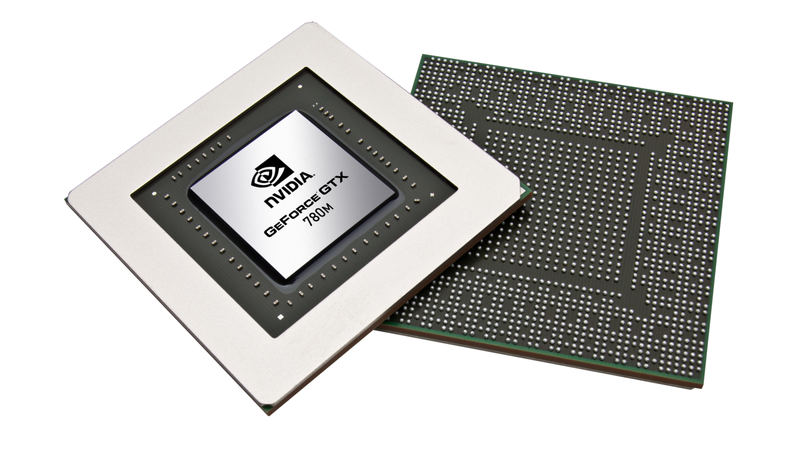 The new GTX mobile cores come in 4 different flavors—760M, 765M, 770M, and the beastly 780M—and unlike last years GTX 600Ms which had a pair of Fermi stragglers, this year's batch are all the latest and greatest Kepler architecture, through and through. All four boast the full suite of Nvidia graphical enhancements like PhysX and GPU Boost 2.0 for overclocking, and they'll snap right into GeForce Experience for auto-customization and auto-driver downloading goodness. On the whole, the crew of cards boasts (on average) a 30 percent performance increase over their respective 600M predecessors, with the new low-end 760M able to tackle beasts like Far Cry 3 and Bioshock Infinite on high settings at 1080p, and the high-end 780M able to rock those suckers on ultra/max settings with that same high-resolution. You know, real gaming. You can expect to start seeing these bad boys rolling out from OEMs in the onslaught of laptops that'll be running Intel's upcoming 4th generation Haswell chipset, like that dope new Razer Blade. Your laptop still won't (ever) be a perfect substitute for a classic, upgradable gaming desktop, but these should be pretty killer.